These two Awesome shot films gives you inspiration to make movies using Nokia N8 Mobile Phone. Storage : 16 GB inbuilt and expandable upto 48 GB. The Commuter: An awesome shot HD film was shot entirely on Nokia N8 Mobile Phone. The cast are Dev Patel (of Slumdog Millionaire fame), Pamela Anderson and etc.Awesome shot film, directed by McHenry Brothers in four days using Nokia N8 Mobile Phone. It has 12 MP camera which can capture HD videos. Enjoy awesome shot HD film directed by Mc Henry Brothers. Dragonfly Love: An awesome shot HD film was shot entirely on Nokia N8 Mobile Phone. Thomson Hilland directed the shot film.The great thing is that the two remote controlled dragonflies used in the movie are real. They are not animated models. Editing and special effects were added off the device. Enjoy awesome shot HD film directed by Thomson Hilland. 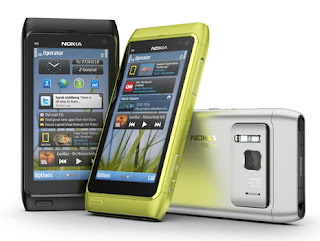 Buy a Nokia N8 Mobile Phone and start making short HD films to become a famous director in world.